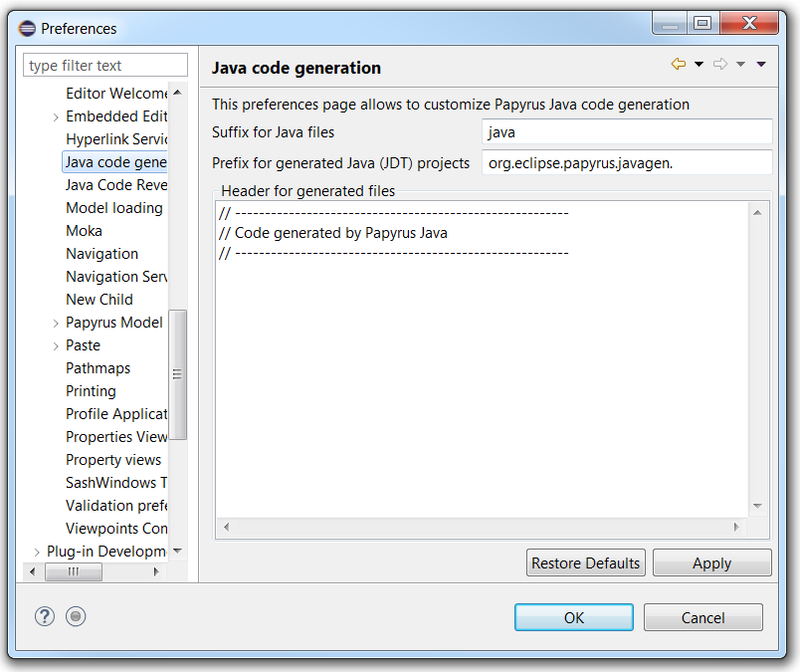 The Java code generation is available via Papyrus SW designer, a Papyrus component. It can be used by installing the latest version of Papyrus. It allows to create Java source code from a class diagram. 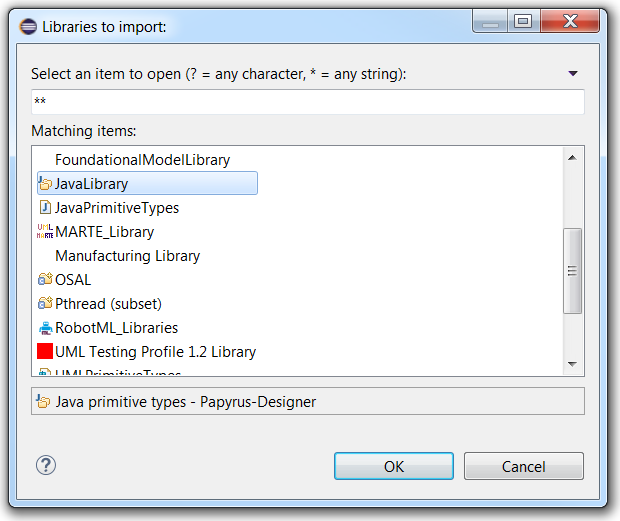 The Java features of Papyrus are available as part of the Papyrus Software Designer extra feature. 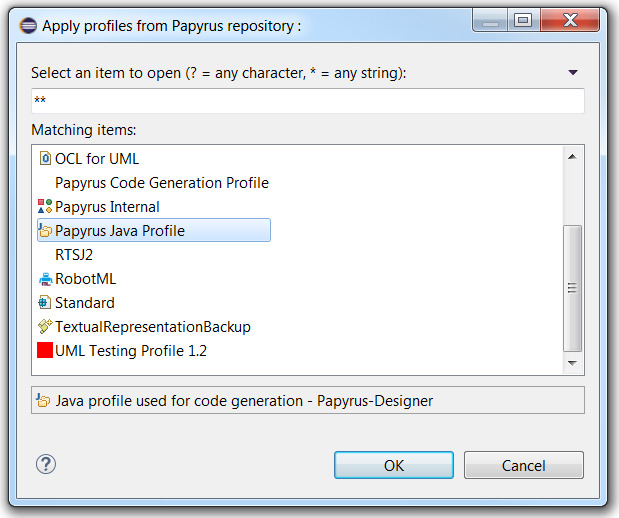 Then select "Papyrus Java profile, library and code generation (Incubation)" feature. You need JDT installed (which comes with most Eclipse packages). When you generate code from a classifier, its required classifiers are also generated. Required classifiers are classifiers related for the generated classifier, e.g. typing one of its attributes, inheritance relationship, dependency relationship. When you generate code from a package (e.g. the root of your model), all of its classifiers, and their required classifiers, will be generated. 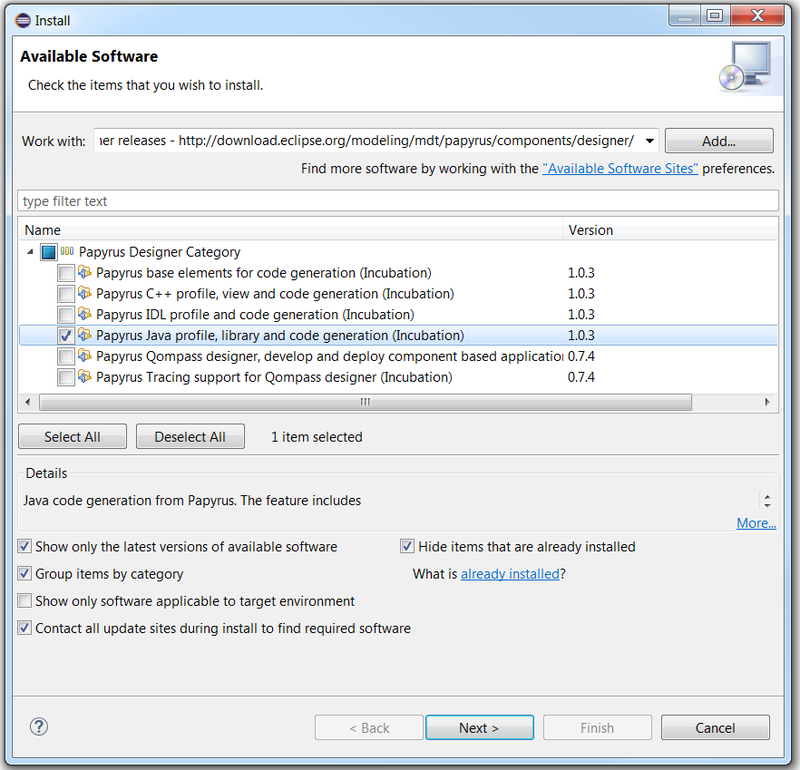 The installed Java feature, of Papyrus Software Designer, comes with a Java profile and a Java library. 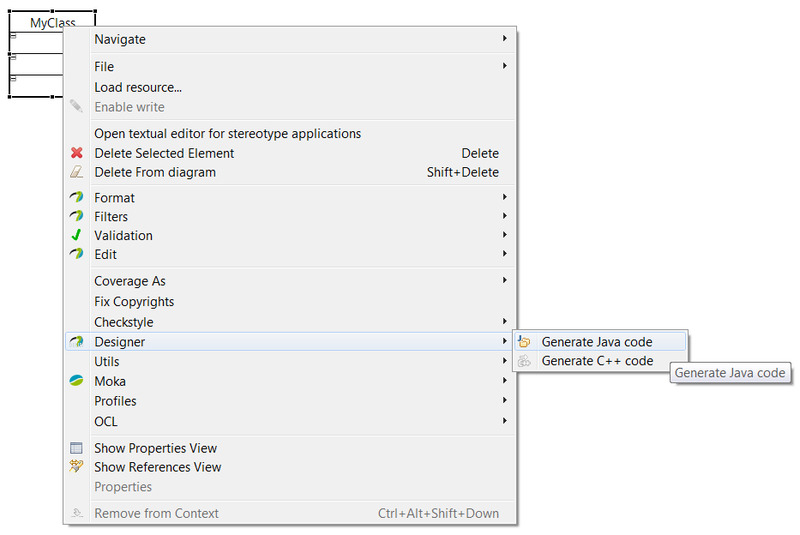 Furthermore, it also installs a generic code generation profile for meta-information (e.g. project name modeling). 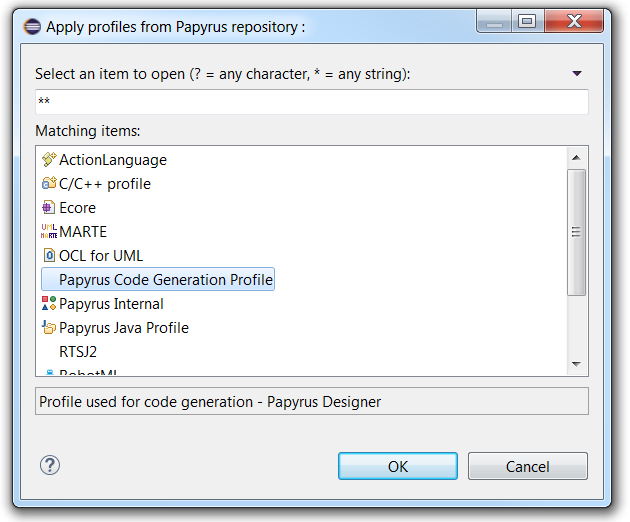 Papyrus Software Designer also offers a common code generation profile, that can be used for Java code generation. This profile lets the user model meta-information, e.g. path where code is generated. A temporary code is generated from the model. 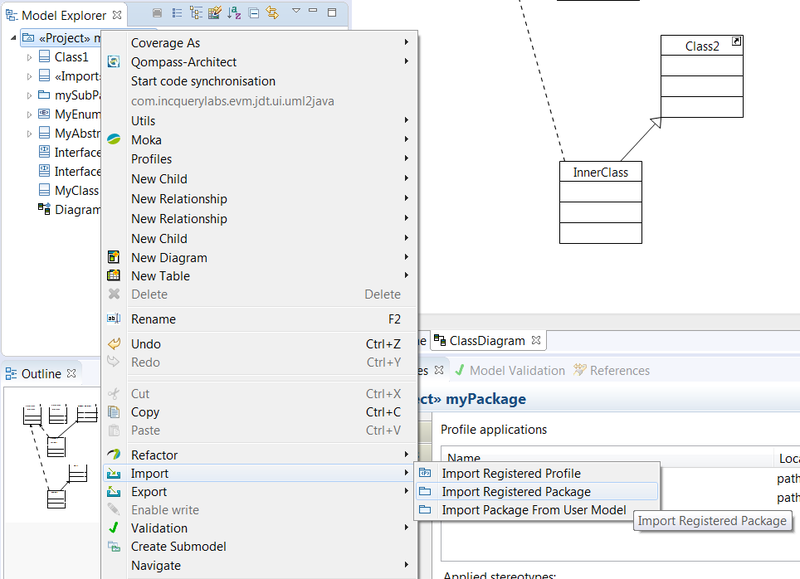 The temporary code is compared to the existing code, via JDT.UI comparison feature. The Java-specific DiffNodes (see Eclipse compare and JDT API) are obtained post-comparison. We use these DiffNodes to take decisions on how we update incrementally the existing code. After all updates are complete, the temporary source code is deleted. Later we plan to add change-based incremental code generation for Java. This page was last modified 08:12, 5 December 2017 by Ansgar Radermacher. Based on work by Shuai Li, Abel Hegedus and Cedric Dumoulin and others.